College football is amazing. The sport has fanatical bands, big hits, and unfettered enthusiasm. Quite simply the sport is the perfect blend of World Cup craziness and rugged manliness. As we watch the college season unfold, we will being watched by our kids. Good or bad, our interactions with our favorite teams have a spiritual element. 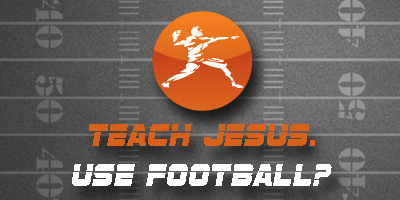 Let’s seize the day and use football as a tool to teach our kids about Jesus. sin is not just the doing of bad things, but the making of good things into ultimate things (168). How do we know if the sport has become an ultimate thing in our life? College football is the ultimate thing if it determ ines our emotions and actions. For example if we are short with our kids all week or extremely generous with our money because of how our quarterback played, we are teaching our kids that joy is found in a leather ball. Our football identity is melting off our t-shirts and into our hearts. This is a huge problem. As Pastor Tim Keller explains, “Identity apart from God is inherently unstable. Without God, our sense of worth may seem solid on the surface, but it never is – it can destroy you in a moment” (170-71). Every team (even SEC teams) will lose eventually. And scandals hit even little schools like the Air Force Academy at some point. If we live for college football, we will be fragile, miserable people with really strong and yet very indefensible prejudices. And we will encourage our kids to create equally fragile lives founded upon stadiums, swag, and whatever other trinkets that promise happiness but deliver despair. If this is you, repent and make Jesus your identity! Everybody has to live for something. Whatever that something is becomes “Lord of your life,” whether you think of it that way or not. Jesus is the only Lord who, if you receive him, will fulfill you completely, and, if you fail him, will forgive you eternally (p179). But if we flip the field, college football will be a great teaching tool. In a very real way, we can use football to show the sufficiency and power of Christ. When our team gets blown out (…Air Force…), we can still have a great Saturday because Jesus is king. And when our team collects the umpteenth championship, we can be humble and happy, because we base our identity on Christ’s free gift of salvation. As we flip between games on Saturday afternoon, let’s show our kids that every Saturday is a good day because we get to worship on Sunday. By teaching our kids that games are just that – games, we can point them to things above where Christ is! 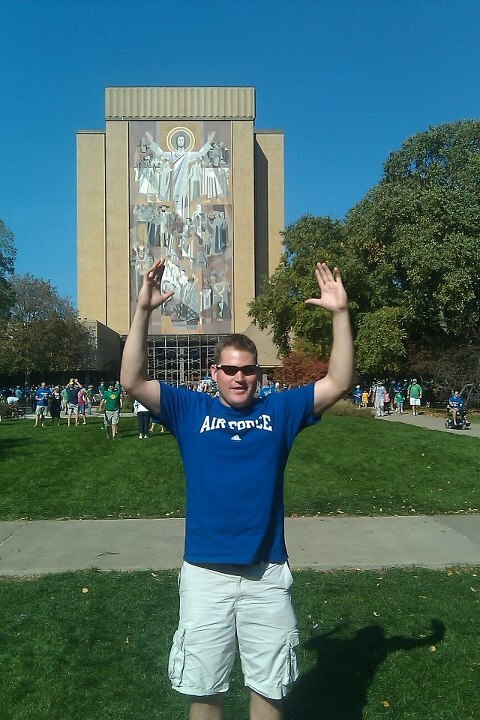 If you are like me, you probably have had at least one sin fueled identity crisis during the college football season. A little ways back, I dug my way under a friend’s skin by chanting, “Cry, Tebow Cry” after the former quarterback got slammed hard to the turf. A few seconds later, I heard my Gator buddy say, “You need to leave my apartment, NOW!” Ultimately our issue was not a battle between the SEC and the Big 12. Our issue was a sin issue. I had missed the whole “love your neighbor as yourself and let you speech always be with grace (Matt. 22:36-40; Col 4:6)” We need to be gracious and loving even during sports. Eventually, I had to repent of being rude and unkind with my words. When we sin during college football, let’s be quick to repent and return to our Jesus identity. Lastly, we can’t forget that sin is always displeasing to God. Boasting about Notre Dame until it’s our identity is never excusable in God’s eyes. And if we can’t watch football without sinning against God and hurting our friends, let’s embrace the Frozen mantra and “Let it go!” It’s better to cut out an eye and miss a little football than for us and our kids to suffer from the deadly effects of sin (Matt 5:29). I truly think college football is fantastically entertaining! And I have me some swag: t-shirts, mini football helmets, and banners. But it is just a sport, nothing more. Jesus is so much better. Will we embrace the Jesus identity this football season? Our kids are watching. More importantly God is watching!